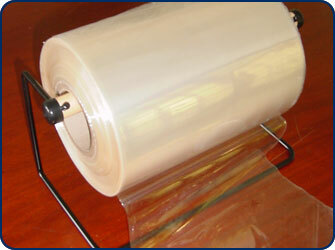 Packco’s PVC shrink film tubing allows you the freedom to customize your shrink packaging to meet your needs. Pre-sealed on both sides, the tubing is ideal for creating your own shrink bags. The open ends can be sealed with one of our many bag sealers. Our shrink tubing is available in 100 gauge thickness and comes in a variety of sizes. Typical roll length is 1500’. View our pvc shrink tubing selection.